Lead is a naturally occurring element found in all parts of the environment. Lead is a beneficial material used in batteries, pipes, ammunition, and was at one time used in paint to make it more weather-resistant. Lead is toxic to animals and humans. In children, lead can cause nervous system and kidney damage, learning disabilities, attention deficit disorder, decreased intelligence, speech, language, and behavior problems. Congress passed the Residential Lead-Based Paint Hazard Reduction Act of 1992, also known as Title Ten, to protect families from exposure to lead from paint, dust, and soil. The federal department of Housing and Urban Development (HUD) and the Environmental Protection Agency (EPA) require the disclosure of known information on lead-based paint and lead-based paint hazards before the sale or lease of most housing built before 1978. Lead paint is in millions of homes, usually under layers of new paint. If the newer paint is in good condition, the lead paint is probably sealed. 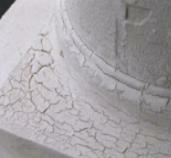 It is when cracks, chipping, chalking, repairs, or other damages expose the lead paint is when problems occur. Deteriorating lead-based paint (peeling, chipping, chalking, cracking, or damaged) is a hazard and needs immediate professional attention. Do not attempt the fix this problem yourself. Before ratification of a contract for housing sale or lease, sellers and property managers must provide an EPA-approved information pamphlet on identifying and controlling lead-based paint hazards. 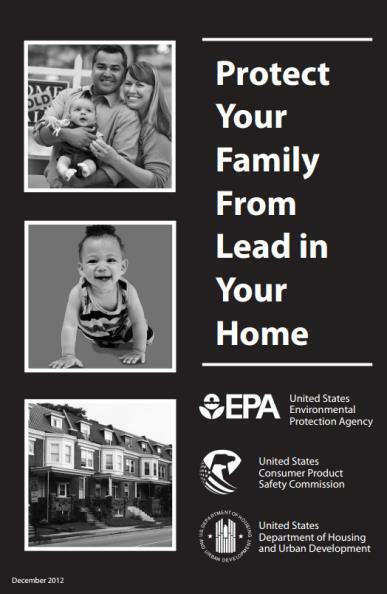 It is titled “Protect Your Family From Lead In Your Home” and is available from the EPA in different languages. You must also disclose any known information concerning lead-based paint or lead-based paint hazards such as the location of the hazards and the condition of the painted surfaces. You are also required to include an attachment to the contract or lease (or language inserted in the lease itself) which includes a Lead Warning Statement and confirms that the seller or property owner has complied with all notification requirements. This attachment is written in the same language used in the rest of the contract. Sellers or property owners, agents, as well as homebuyers or tenants, must sign and date the attachment. Also attached to the lease are any additional federal- or state-specific requirements or addenda. These could be a Lead Paint Disclosure or other environmental or legal attachments. Real Property Management is the nation’s leading property management business. We know the hazards associated with lead paint and know how to find qualified vendors to protect your property and your tenants. Find the nearest Real Property Management office and give us a call for advice and professional property management services.